These are our packages – You will build your complete MaxRecover Virtual Tour based on these packages. Any additional regular pictures you may want to add and embed on your MaxRecover Virtual Tour for special items such as jewelry, instruments, oil painting, serial number items, special clothes, will be charged in addition to the chosen package. • VT Custom Package - More than 24 rooms/shots: Contact us for pricing. Additional Still Pictures (These are optional, if you want to record special items. The pictures will be embedded and safely stored in your MaxRecover Virtual Tour). • Still Custom Package - More than 30 pictures: Contact us for pricing. Your MaxRecover Virtual Tour will be hosted for free during the first year. After the first year, there will be a charge of $99/year for hosting expenses. 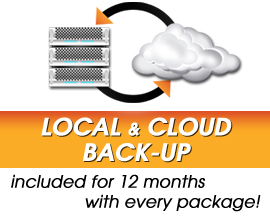 *This price includes the virtual tour shooting, the programming and embedding of the virtual tour, storage in our local and cloud servers, and cost of your personal MaxRecover drive that will be mailed to you.